I am constantly thinking of different themes to build a mix around. With the completion of each mix I typically fall into a 2-3 week funk where I try to think of a new theme for my next mix. Following the Folger's Blends mix I was struggling to think of a new theme. Then, one day while doing a random google search I stumbled onto the above logo. At first glance, I thought the logo was straight dope. However, the logo became even cooler when I learned that it was the creation of my favorite t-shirt designer, Derek from Manifest Worldwide. Given that the saying behind the logo comes from a ATCQ song, I was originally intending to do a Tribe mix. However, since Tribe mixes are a dime a dozen I went in the direction of creating a mix that attempts to capture the jazzy vibe that groups like Tribe and Digable Planets spawned. As the title suggests, all songs on this mix incorporate jazz based samples. The track selection includes music from jazzy groups and producers such as A Tribe Called Quest, Digable Planets, Diamond D, Black Moon, De La Soul, Madlib, No ID, Gang Starr, Showbiz & AG, Big L, The Roots, and Nas (I think that's all of them?). Half the fun of making this mix was doing the research to ensure that all songs maintained a jazz break. Some were no brainers, but other songs with jazz breaks were quite surprising. Jazz based samples have always given a special vibe to hip hop music so I hope this mix captures that magic. Thanks again to Derek at Manifest for inspiring the mix's theme. Speaking of Manifest, check out Manifest's grab bag sale where you can get a set of 3 randomly selected t-shirts for $25 here. I hope you all enjoy the mix. Can't wait to hear it! Thanks. Been waitin' on this one! YES YESS ITS HERE ITS HERE!! Sounds like a good idea !! I can't wait to hear it !! absolutely top mix. great to hear someone who can not only select but BLENDDDDD. man I wonder what the person above me said...anyway, i listened to this mix at work this morning. it made my struggle that much more enjoyable!! this mix is superb!!! 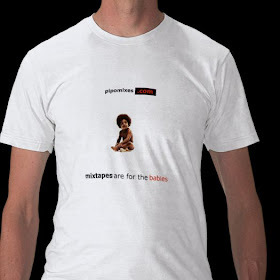 ...By the way - what about that PipoMixes T-Shirt idea? Are you still planing to somethin? pipomixes, i have come to the conclusion that you're the deejay's deejay. when i go on vacation next month, i'm making a pipomixes disc with all your mixes for the drive. can't wait. What program do you use to make your mixes? 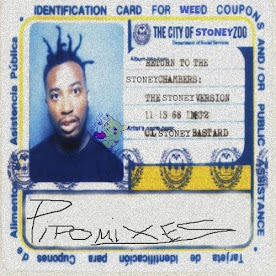 This mix reminds me of mid 90's G-Bo & Double R 4-track style mixes. "I hope you all enjoy the mix." If you're having problems with the download, I am currently uploading the mix to limelinx. I'll post the limelinx link on the front page. thanks jah wise. Did you see that the Ma Dukes concert was released on dvd? man this mix is right on. so smooth and so classic. you've out done yourself again pipo. proud to have Manifest associated with you and this mix! keep it up. It's smooth just like JAZZ!! I've only used torq. It works fine once you get set your computer to the right settings so the software performs at optimal function. I'd buy serato if you're using it for gigs because it's industry standard and you won't run into connection problems. Personally, I haven't even gotten into all the bells and whistles of torq. I just use it the same way I'd be doing it without torq. The efx's that I use come from my mixer and not torq. I only use the program because I can make instrumentals where none have been released and I don't have to buy doubles of vinyl anymore. how about a mix of just the samples; that would be fat! This quite a unique album. for those who like jazz and are tired of the same old thing, here's what you were waiting for!